Make the car the star! I was recently analysing dealership websites both in the US and Australia for a recent project and focused on one area that I believe drives the most sales – good photography. I cannot underscore how important it is for any dealership attempting to sell new and used cars, to focus on the quality and staging of their vehicle photos – Combine good photos with a simple user path to view them and allow them to do the rest of the selling for you! 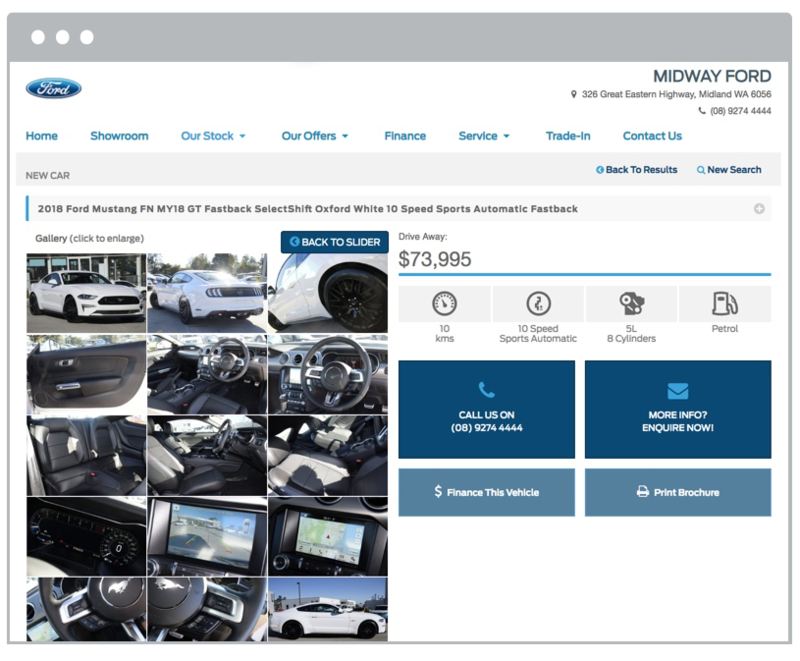 A good example is the vehicle detail page below, for Midway Ford. There are 19 photos, arranged in an easy format to flip through them with a clear call to action, located right next to the photos. This is a good example of how to present a car in a manner that will drive leads. All you need to remember is that the car is the star. Open up any national magazine, flip through the pages and those first few ads will be the best photography featuring the hottest celebrities in the whole magazine. Think of your cars as your attractive high-priced celebrity who should have their best qualities clearly displayed to potential consumers. This same concept applies to your website today – put your vehicle’s front and center and make them the stars! Recent studies on vehicle photography and consumer engagement show that 60% of website visitors interact best with inventory photos which drives lead conversions for your website. These online customers are renowned for being the best-converting and most efficient leads. If I had only one bit of advice to give to a dealership, its simple – think of your vehicle detail page as the cover of the most popular magazine out there and think of your vehicle inventory as the main star you want to show everyone. Be sure to hire an expert photographer to capture all their best angles and profiles of your vehicles. Then capture your next customer with a great cover photo and convert them to a lead. Don’t settle for less, you should aim for 15 – 25 photos per vehicle, avoiding any bad lighting, harsh shadows or mess. In the same way that consumers love seeing great celebrity photos and lots of them, they also want to see lots of photos of their possible next car. For expert advice to make your vehicle detail page stand out and drive quality leads, contact the Dealer Solutions team to learn about their complete suite of photography products and services to suit all dealership types. About the author – Chris Smith. 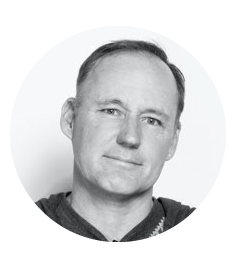 Chris Smith has built a strong track record as an entrepreneur and sales leader for leading automotive, action sports, lifestyle and music publishing companies working for NBC, CBS, Surfer Magazine, Cox Automotive, and Dealer.com. In 2005, he founded Blackrock Digital, an innovative vertical ad network and sold it four years later to Intermedia Partners. Chris also funded and help build Think Realtime LLC, a programmatic real-time bidding advertising company acquired by Dealer.com and Cox Automotive in 2014. Mr. Smith started his career on Maui as a hand-held Camera operator and Producer positions for Paradise TV, a local visitor channel. Chris lives in California and Lahaina, Maui with his wife and two children Scout and Saylor. Today, Mr. Smith oversees OEM dealer advertising strategy and dealer marketing strategy for the Media Solutions groups at Cox Automotive U.S. and Dealer.com. and is responsible for delivering qualified advertising programs for clients on the industry’s leading automotive media and marketing platform.